Replace your OEM paper air filter with a higher quality K&N Drop-in Air Filter for your Porsche Cayman/Boxster and see an increase in power and improved gas mileage. Replace your old, worn out OEM air filter on your Porsche Cayman/Boxster with a higher quality air filter from K&N filters. With the K&N Drop-in Filter, you are replacing your low-quality paper air filter with a high-quality K&N air filter with cotton gauze filter elements. The cotton gauze filter of the K&N Drop-in Air Filter allows for maximum filtration while giving the filter supreme durability. These air filters are a direct OEM replacement, so installation takes a matter for minutes. The cotton gauze filter is also washable and reusable so you never have to buy a replacement air filter for your Porsche Cayman/Boxster ever again. 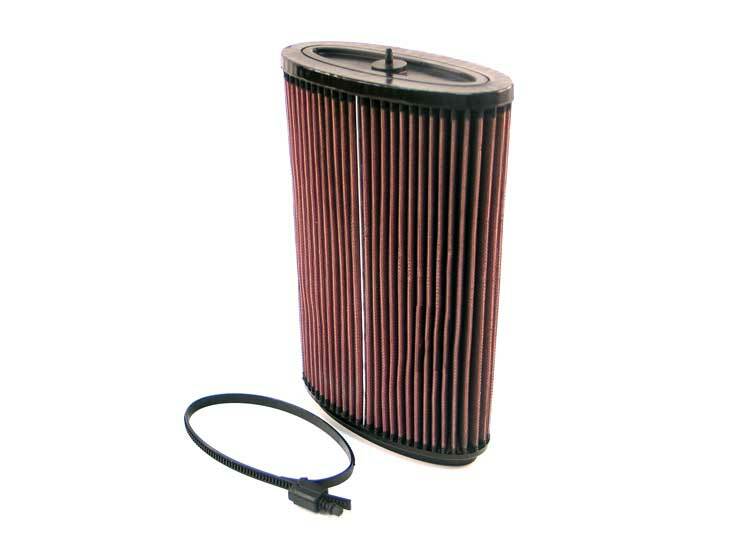 Not only is the K&N Drop-in Filter super durable, but it also helps increase your car's performance as well. With the increased airflow going to your engine, you will see increased horsepower and acceleration, and because your engine is working less, you will also see improved gas mileage. In the end, the only choice for a replacement air filter for your Porsche Cayman/Boxster is the K&N Drop-in Filter because it will increase your performance while saving you money.